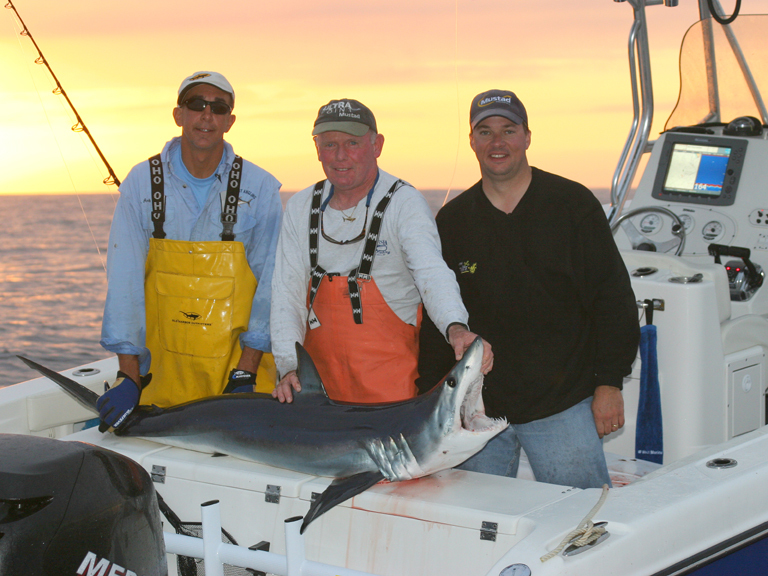 Capt Andy joins up with New England shark authority Capt Bill Brown of Billfish Sportfishing Charters (860 741-3301) and hook expert Jeff Pierce from Mustad. The crew spends the day illustrating all the fine points of shark fishing in the Northeast. Bill covers baits and rigging, while Jeff talks about different hooks including size, style and finish, along with bait attractants. Of course, the sharks eventually show up and make for plenty of action including a solid mako and a blue shark estimated at over 300lbs! The techniques and tackle in this show can be used by anyone who dares to chase these fearsome creatures. If you have questions about any of the equipment used during the show, please contact us.